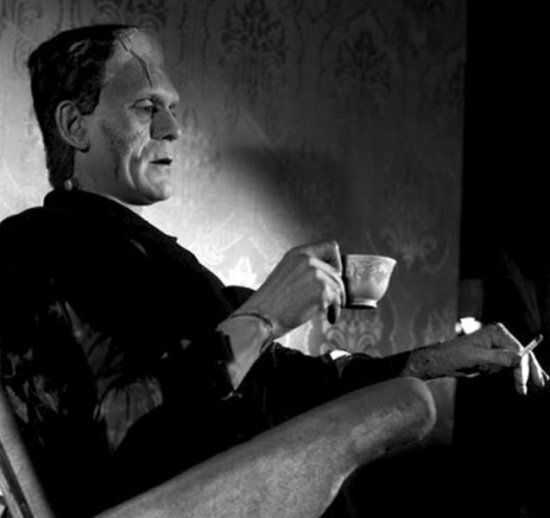 Frankenstein’s Monster enjoyed nothing more than a cup of tea, a smoke, and a good lean. 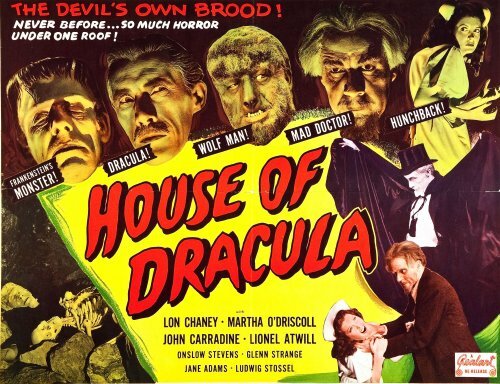 House of Dracula, released in 1945, was the last hurrah for Universal Studios’ classic monsters. They would make one further appearance the following year in the comedy Abbott and Costello Meet Frankenstein, but House of Dracula was the final time they would be taken seriously. Okay, the “Mad Doctor” Edelmann technically could be classified a monster in that the unintended transfusion of Dracula’s blood into his own veins unleashed his inner Mr. Hyde. But the “Hunchback” was a nurse. Whose only qualification for “The Devil’s Own Brood” was a bad case of kyphosis. Someone really needed to take Universal’s marketing department out behind the woodshed. The early days of television were a massive experiment, as veterans of other forms of news and entertainment adapted to the challenges and opportunities of video. Before the advent of videotape, live shows were commonplace. One was Tales of Tomorrow, a science-fiction anthology that produced 85 dramatizations over its two year run. I’ve edited together the furniture-moving fun below! If a movie in which the irradiated heart of Frankenstein’s Monster regenerates into a 70-foot teenager with a flat head and fights a burrowing dinosaur isn’t odd enough, it could’ve been even weirder. And this time the Japanese weren’t at fault. Frankenstein Conquers the World (which I first mentioned a couple of weeks ago) was a co-production between Toho and Henry Saperstein’s United Productions of America. Saperstein had been impressed by the octopus puppet that appeared in King Kong vs. Godzilla and insisted on reusing it, despite an octopus being neither necessary nor germane. Monster Island Nickname Wait…what? Why is there a giant devilfish? So, the script for Frankenstein Conquers the World ends with the title creature battling Baragon the dinosaur amidst a raging forest fire. As Baragon falls dead, the ground beneath Frankenstein’s Monster parts without reasonable cause and the titanic teen is swallowed by the earth. However, in the Saperstein-mandated alternate ending, Frankenstein throws down the lifeless body of Baragon. Then he spots something! It’s a giant octopus! Climbing up the mountainside! As octopi do! Forgetting about the flaming forest, Frankenstein begins hurling rocks at the inexplicable intruder. And, as this is a rubber octopus, there is really nothing it can do until Frank gamely wraps its tentacles around him. The two tussle until the cephalopod pulls its opponent over a cliff into a convenient lake. They sink to the bottom, and are never seen again. The end. 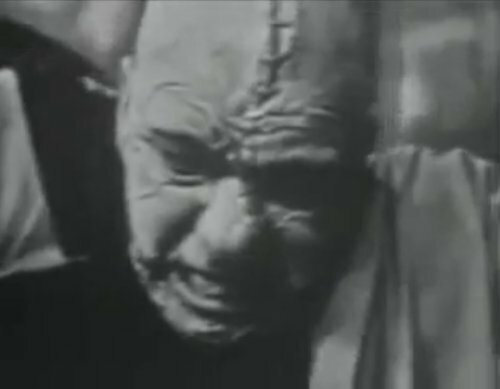 Even though the scene was filmed–and featured prominently in promotional stills–it never made the final cut of either the Japanese or American versions. It’s on the DVD though, and you can see it for yourself on YouTube. 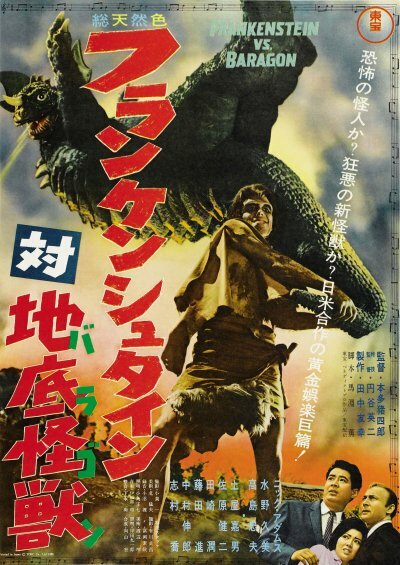 There’s also an excellent article about it on Godzilla scholar August Ragone’s website. You might be thinking, “But Dave, you said that these were Japanese monsters.” Clearly, you have never been exposed to the madness that is Frankenstein Conquers the World, aka Frankenstein vs. Baragon. Now, if you’re wondering why Frankenstein’s monster is fighting a firebreathing dinosaur, keep in mind that at one point Toho Studios planned to make Godzilla vs. Frankenstein. See, it all makes sense. Our story begins during the waning days of World War II, when Nazi soldiers steal the still-beating heart of Frankenstein’s Monster from a mad scientist’s castle and ship it via submarine to their Japanese allies. * Unfortunately, their destination of choice is Hiroshima. Oops. Years later, a rapidly-growing, flatheaded kid is running around the recovering city. Some descriptions of the plot suggest that he was a starving orphan who discovered the heart and ate it. (Ick.) That’s unsubstantiated by the film, though. It’s pretty clear that this is what you get when you take Frankenstein’s heart–which, as we all know, is immortal and has regenerative powers–and nuke it. Oh, and then there’s a dinosaur. Because, you know, Japan. *There’s still so much we don’t know about the Second World War.